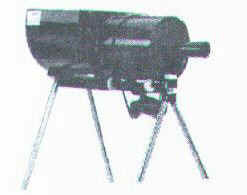 This cordless radar is very economical and still includes many features found on much more expensive guns. Utilized DSP digital technology for fast accurate readings. Powered by Black & Decker Versapak batteries. registers speeds from 10 - 120 mph at peak speed or will register continuous speeds as ball slows down. Includes low voltage indicator. Two year warranty. Weight 2lbs. Includes gun, turning fork, batteries, and charger. 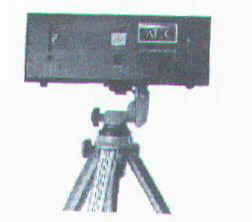 This speed measurement device allows accurate measurement of bat speed. A sensor label is placed on the bat and allows bat speed to be measured accurately from 10 - 120 mph. 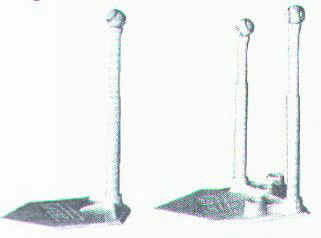 Varying placement of the device can measure bat speed before and after contact. Operates on 4 D-Cell batteries for 2 - 3 hours. Two year warranty. Weight 7 lbs. Sensor labels included. Dual LCD readout. Six second release control, remote control for coaching breaks, or forty minutes of continuous feeding. Works with Casey, Power Hummer, and Rookie pitching machines. 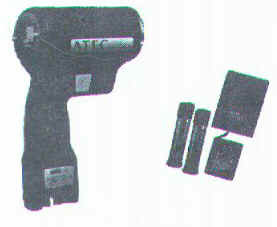 110 V AC power. Knock down portability. High strength steel construction with weather resistant finish. Shipping weight 250 lbs. Either basket holds 100 baseballs or 60 softballs. 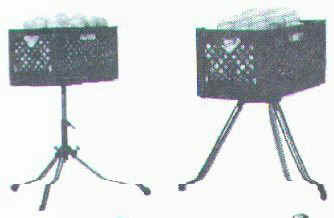 Team basket has telescoping legs with two height settings at 31.5" and 46". Pro model has adjustable height from 33.5" thru 47". Shipping weight 20 lbs.